Located in the Salt Lake City, Utah area. I've owned the car since fall 2004, and purchased it from its original owner in California. It had some headgasket work on it then, and after I purchased it. It ran brilliantly for three years afterwards but has been giving me a bit of strife over the last 18-20 months. Presently it might very well have a leaking headgasket, and I don't drive it on the freeways or highways, but it drives very well in town. It would probably require a headgasket set replacement and head refinishing to get it back in tip-top shape, something I don't want to do right now. The car was repainted before I purchased it, due to a hit and run, but two years ago the clearcoat on the C pillar started to peel. It has progressively peeled on the left side, from the front to the back around the midsection, and would likely require at least half of the vehicle to be resprayed. The clutch assembly was replaced with OE parts in November. The slave cylinder may have a slight leak, but I've yet to replace it. Upon deceleration, especially when the car is warm, there's a bit of gear noise and some binding. I attribute this to the cheapo fluid I put back in after the clutch replacement, as neither of these happened previously. I've had some problems since day 1 with the audio system. The previous owner had an almost completely custom setup, save for the head unit, which he kept stock. I've replaced all of the speakers except for the KEF tweeters in the stock locations, and put in a small JBL amp to power the front RF and rear Alpine speakers. I also added the OE Subaru subwoofer under the driver seat, but haven't bolted it in yet, as it's such a tight fit as it is. When I had the headgaskets fixed in 2005, I added a set of Cobb Street Performer camshafts and a Cobb/Exedy lightweight flywheel. Both of these modifications made a big difference in how the car performed, shifted, and sounded. I also added a Cobb Power Pulley, which is the OE sized lightweight crankshaft pulley, as a replacement for a UOR underdrive pulley. I have since replaced the Borla UEL headers with a set of TWE EL headers and the stock cat assembly with a Random high-flow cat, while retaining the trick Fujitsubo Legalis catback and muffler. It's a very unique sounding Subaru, more Porsche than Subaru, and I like it. Early on I also got one of the legendary Cobb cold-air intakes, which was probably the single most impressive addon I've experienced with the car. Instant sound and performance improvement, along with improved economy for sure. I also added an earthing/grounding kit. Some Kartboy shifter bushings and an older version one Cobb short shifter make the drive easier, and a black aluminum Prodrive shift knob tops it off with style. I went back and forth on brakes, from the drilled Brembos it had stock, to 11.4" WRX, up to 12.3" Legacy GT, and back to the smaller, lighter, and cheaper WRX setup. Stock pads with Cobb stainless lines bring it to a stop with a lot of confidence. The previous owner had sourced a set of TEIN NA coilovers, which are basically height-adjustable struts with damping and rebound adjustment. The TEIN springs were to hard for his, so he also found a set of kg/mm brand (yeah, that's a real brand of springs in Japan), with a softer feel to take out the ride harshness. He also had installed a CUSCO front strut tower brace, and I later added a rear brace to compliment it. I also added a rear CUSCO 18mm swaybar early on to work with the revision C/D subframe braces he'd added. I'd purchased the car with a set of Rota Formel wheels and Falken 512s, moving later on to some Prodrive P-WRC1s in Gold, 18" in diameter, but have settled on a set of 17x7.5" silver BBS from an 04 STi. These are, without a doubt, the best take-off OE Subaru wheel in 5x100 for strength and lightness in the 17" size. I put a set of BFG G-Force KDW tires on, in the popular 225/45-17 size, and I really have enjoyed them. For winter, I have a set of Rota SDRs in Hyper Black, 17x7.5" ET53, with 235/45-17. These work really well with the LSD and I've never had problems in the snow, even when it's well over 12". I've added a lot of little parts to the car also. A JDM front grille, rear taillights, ebrake boot, center console cover, MOMO steering wheel, Redline shifter boot, painted interior trim and a Prodrive oil cap. 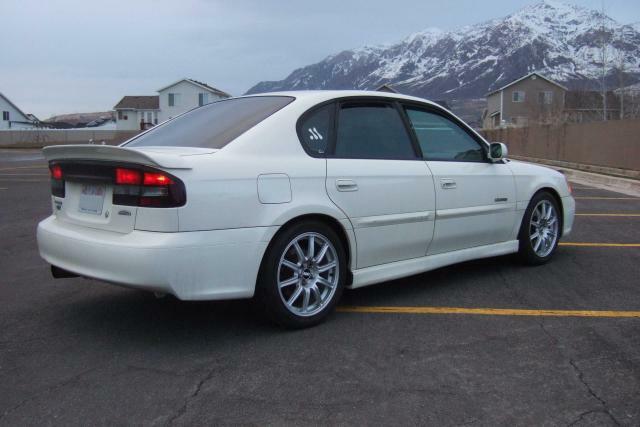 One of my great finds is the SYMS rear spoiler, of which there are very few. It's one of the most distinguishing parts on the car, for sure. I have the OE rear spoiler, another set of GT headlight assemblies with cleared cornders, power folding mirrors, OE tails, OE intake system, OE catatlytic converter, and a few other miscellaneous parts that I'll include with the vehicle. I have a spare set of blue lugs with key. This is a great car. I love the looks, love the sound, love the 28-32MPG I can get with it on the freeway, and I really would rather not part with it. I do not have the time and patience right now, as I'm investing a lot into a place to live, and I think there are many people out there who can take this car to much greater heights. If you want a city car, this will probably do you well if you just watch the coolant and temperature gauge and don't mind the leprosic paint. If you are looking for a BE project car and have a swap in mind, and have similar taste in parts to mine, then this will do you just fine. I will be flexible on the price, depending on the wheel and tire set, if any, the buyer chooses. I'll gladly swap on the stock intake, spoiler, stock tails, stock cat, find and install UEL headers, etc, if it helps. I'd like to start at $4500 with the Rota wheels and tires. I'll swap on the KDW2 summer set if desired. Both sets of wheels and tires will add $700 to that price for a total of $5200. This price is below the KBB "Fair" condition, which I think is pretty accurate. I do have a considerable investment in aftermarket and JDM parts, which I undetstand doesn't necessarily make the car worth the amount of the part prices by themselves, but they are significant and important. Wowwwww. Good luck with the sale! Well worth $4500. I picked up a 98 Legacy L wagon and am probably going to do more of a daily driver setup on it than a throw-all-of-the-parts-I-can-find car. I think someone can have a great time with this car. Best of luck with the sale Dave! Ill trade you my 91 for it. Good luck with sale! Beautiful car! hehe well personally I think the 05-current are the best looking... and I've already bought a car from DLC, it's someone elses turn! 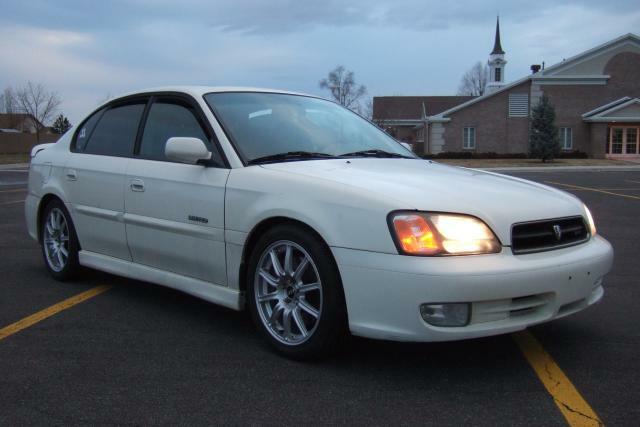 I think the 05 GT Wagon 5MT is at the top of my list for next Legacy. In other news, this car might only be in running condition for another week. 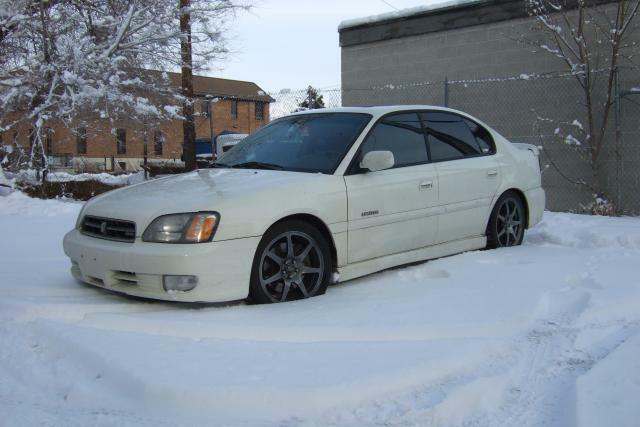 wow shes a beauty for only 4500! If it doesn't sell in one lump, it'll certainly sell in smaller bites.